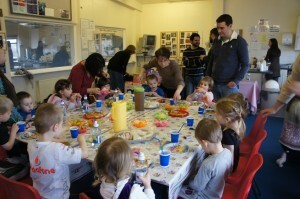 Our popular children’s birthday parties take place on a Sunday afternoon only, between 2.30-4.30 pm. They are very popular and do get booked up very quickly, so we ask for as much notice as possible to avoid disappointment. £100 for 12 children (including birthday child) gives you 2 hours exclusive use of the premises and the services of a qualified coach who runs the party. 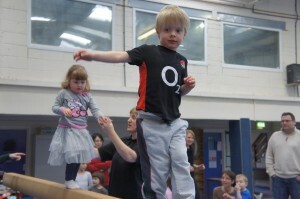 To secure the booking, the gym office is to receive the request form along with £60 in either cash or a cheque payable to Swindon School of Gymnastics. The balance is to be paid in cash to the coach on the day. Invitations can be printed for £2. 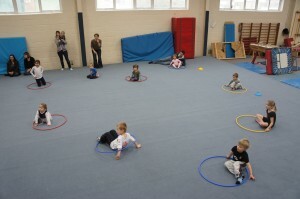 This will be explained in detail via an email from the coach, but the children are supervised in the gym by the coach for approximately 80 minutes of fun and games. They then go upstairs and eat the refreshments that you have provided.